Metal shards from the airbag can be sprayed throughout the passenger cabin. For what appears to be the first time, a person has been killed by a Takata airbag in a car that wasn’t moving at the time of the accident. The New York Times reports that a man in Florida was repairing a parked 2001 Honda Accord in Miami, Florida when he used a hammer, which apparently caused the airbag to deploy. The ruptured airbag blew up and caused the man to suffer serious injuries. He died in the hospital the next day. The media reports that the death is the twelfth U.S. fatality linked to Takata airbags according to the National Highway Traffic Safety Administration (NHTSA) and the seventeenth death worldwide. The exploding airbags send metal shrapnel flying through the vehicle, which can cause devastating and deadly injuries. Until this accident, however, the fatalities and injuries associated with the defective Takata airbags have occurred in collisions, in which the affected vehicles were in motion and struck an object or another car. The Takata recall, which is the largest, most comprehensive product recall in history, began in 2008. At the time, it affected Honda vehicles and included just 4,000 cars. By 2011, the recall had ballooned to over 2 million vehicles. By 2017, it involves 70 million airbags in 42 million vehicles across 19 auto manufacturers. To determine if your car is part of the recall, visit the safercar.gov website and look up your vehicle by its vehicle identification number (VIN) or make and model. Safercar.gov is maintained by the NHTSA and they regularly update the site to include the latest Takata information. If you’ve been injured in any type of car accident, you have important rights, and you may be entitled to compensation for your injuries and other losses. Don’t wait to speak to an experienced personal injury lawyer about your case. 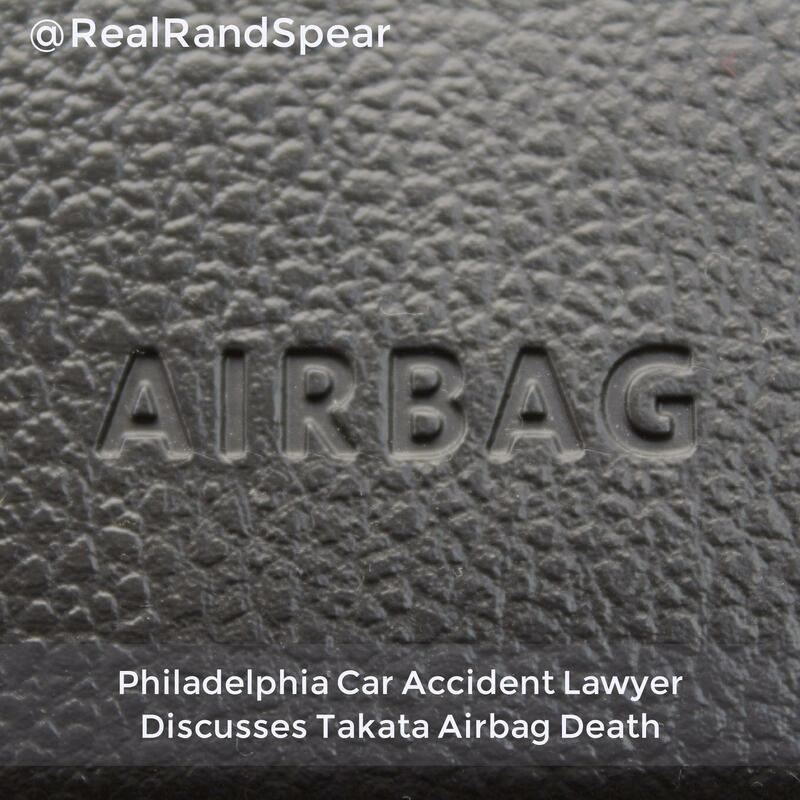 Discuss your options and the next steps in your case with Philadelphia car accident lawyer Rand Spear today at 888-373-4LAW.